A patient must give their permission before they receive any type of medical treatment or examination. Consent is required from a patient regardless of the intervention. Read the Principles of Consent here. 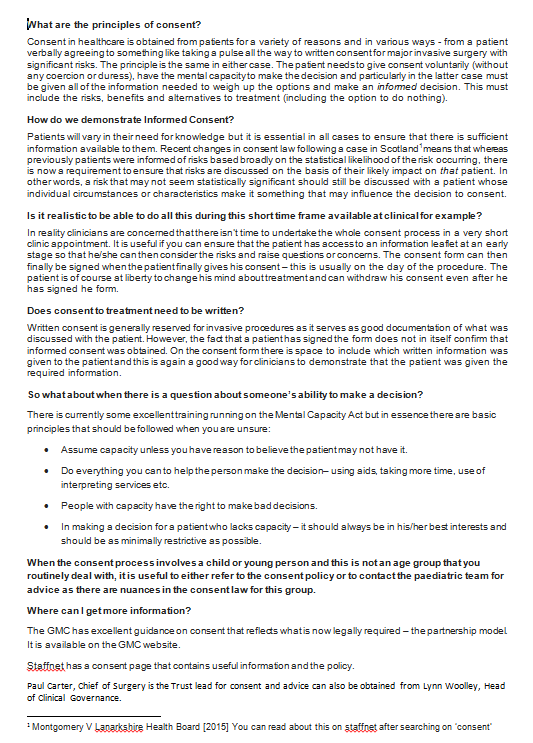 Following a court case in Scotland, there are important new considerations for obtaining consent for treatment from patients.